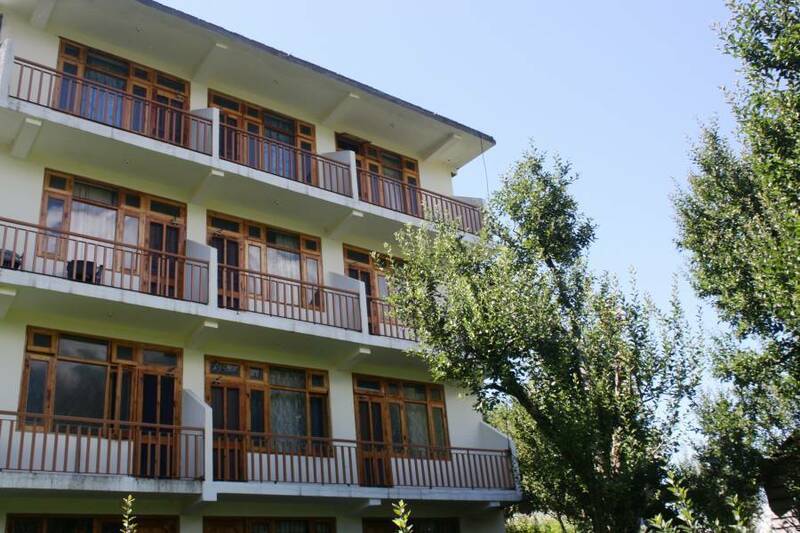 Sarthak Guest House(B&B) is located at Khakhnal 9 km. short of Manali on Manali Nagar Highway. The Resort is situated away from the maddening crowd in quiet ambience. It bids a beautiful panorama of the valley. Khakhnal has a very old temple dedicated to Swami Kartikey (son of Lord Shiva), a must see. 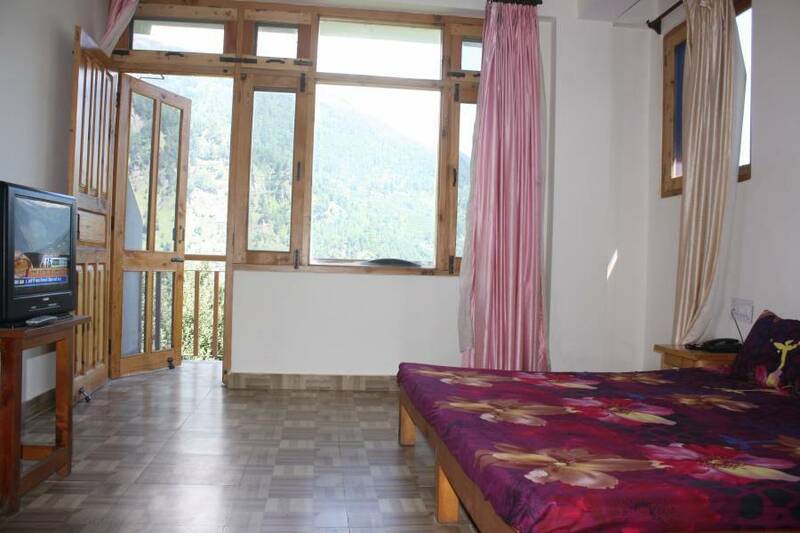 Sarthak Resorts provides standard budget accommodation to people. 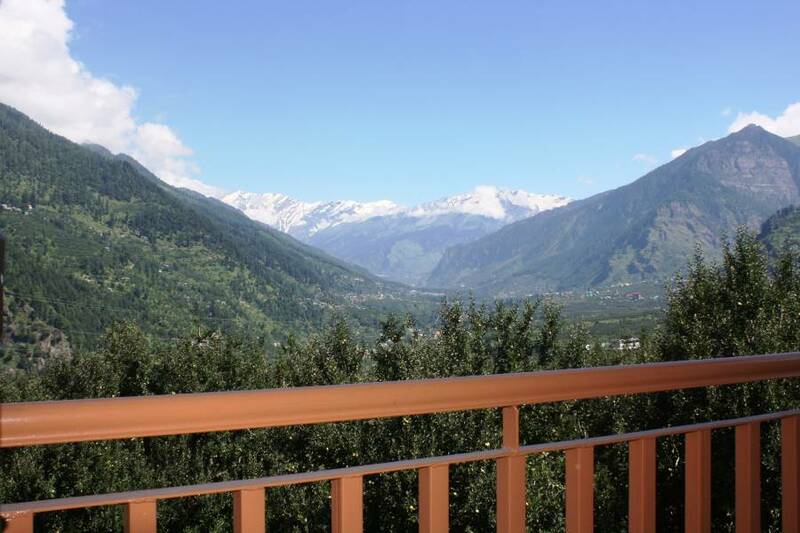 Scenic beauty, lush green forests, paddy fields, surrounding apple orchards and the enchanting view of the Himalayan Country Side is only accessible from this small shrine nestled among the Peer Panjal Ranges of Western Himalayas. We are committed to provide you with homely stay, comfort, privacy, hospitality and all other travelling needs and we wish all the best and happy holidaying. Rooms are two different side of view, differently designed keeping in view the requirement and comfort of our guest. 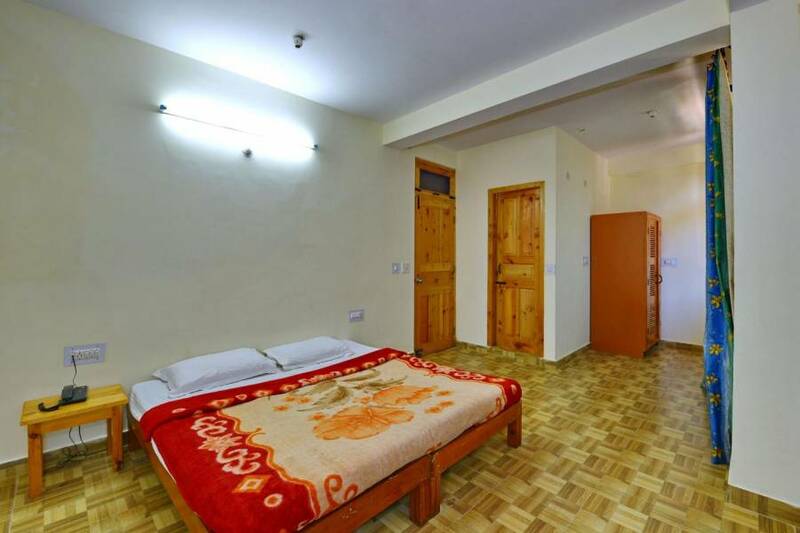 The Guest House is situated away from the maddening crowd in quiet ambience. It bids a beautiful panorama of the valley. Khakhnal has a very old temple dedicated to Swami Kartikey (son of Lord Shiva), a must see. 20% payment required before 10 days of check in date for confirmation of booking. For cancellation Guest need to notify at least 7 days before the date of arrival other wise full retention charges will be applicable. Located at Khakhnal 9 km. short of Manali on Manali Nagar Highway. From Delhi (555 km): There is direct bus service from ISBT (Inter State Bus Terminal), Delhi to Manali. Luxury coach services are also available. From Chandigarh (315 km): Luxury, Semi Deluxe and Ordinary Bus Service is available from Chandigarh to Manali. From Kullu: A local bus from Kullu via Naggar takes one and a half hour to reach the hostel. From Manali: A local bus from Manali bus stand via Naggar takes half an hour to reach Khakhnal. A taxi or an auto-rickshaw may be hired. Via Ram Shila taking left turn on Left Bank highway after crossing Beas Bridge at Ram Shila about 2. 5 Kms. 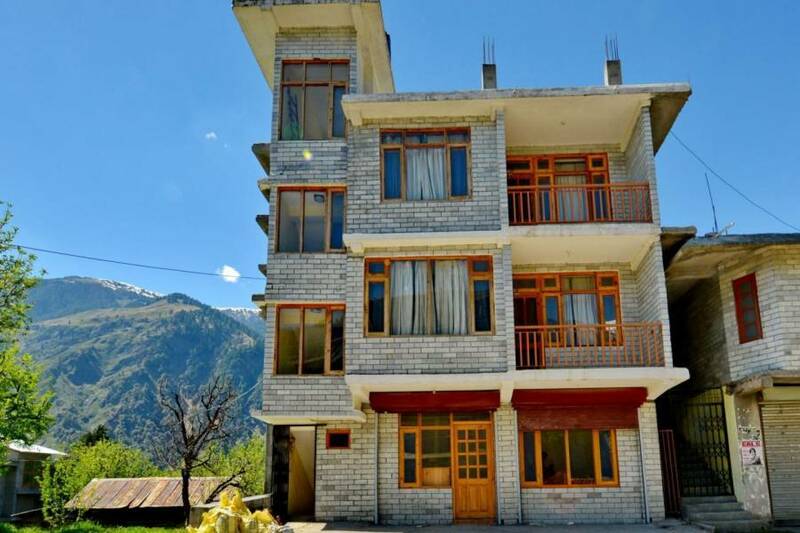 after Kullu & Sarthak Resorts is 32 kms. Via Nagar taking Right turn in Patlikuhl on left bank highway about 21 kms. After Kullu & Sarthak Resorts is 17 kms. Via Manali Town taking right turn after crossing Main Beas Bridge. 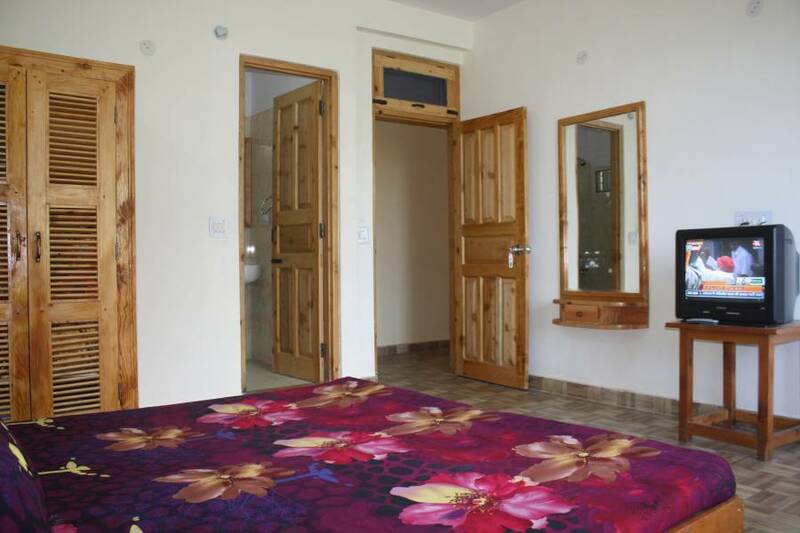 Sarthak Guest House is 9 kms.